Enjoy FREE US Ground Shipping for all items you purchase from us regardless of the purchase amount. Our efficient, free shipping is offered to all destinations within the continental US and includes shipping insurance. You will be provided with order status and tracking information via email at the time of shipping. Please note: We will only ship your order once it has passed through our thorough quality control process. Insure and declare all items for their full dollar value. Only ship items to a physical business or home address. NOT accept delivery to PO Box addresses. Always require a signature for each package delivery. Although you may provide an alternate shipping address, we suggest that you have items purchased via credit card shipped to a valid address on file with your credit card company. Duties, taxes, VAT and/or any additional charges levied or charged by an international customer’s country will be the sole responsibility of the customer. Therefore, it is imperative that all international customers verify with their appropriate governing bodies and/or local authorities prior to placing orders to confirm any possible taxes and/or duties to be incurred. Place your order Today and we will ship it by Friday, May 3rd. Each one of our fine art jewelry pieces are made-to-order and crafted by hand taking a total of 9 months to complete. If you need this item sooner than the estimate above, please contact us. Stand apart from the masses with a truly unique and one-of-a-kind solitaire that outshines even the brightest of diamonds. Fit for a princess, this Sofia collection engagement ring features a 12mm Jack Storms fine art crystal stone set on a sleek 6 prong band. The Sofia engagement ring is available in sterling silver and 14k white or yellow gold. Never before has diamond been outshone… until now. No interest on purchases over $299 if paid in full within 6 months. 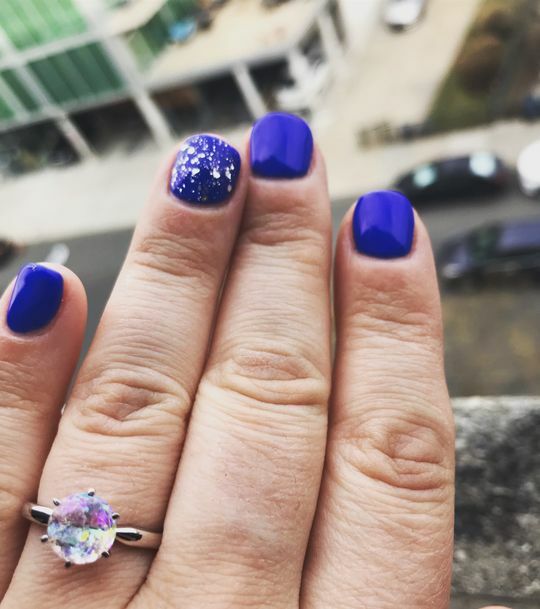 I received the Sofia ring as my engagement ring in December 2018. I had been searching and hoping for a symbol just as unique and powerful as the love I share with my significant other. A simple diamond just wouldn't do. Enter the culmination of Jack Storm's incredible craftsmanship and Vivian's penchant for beautiful designs. I've never seen a piece with such clarity, brilliance, or opulence. This is a piece I shall treasure *forever*. More precious than diamonds, no two stones are the same. 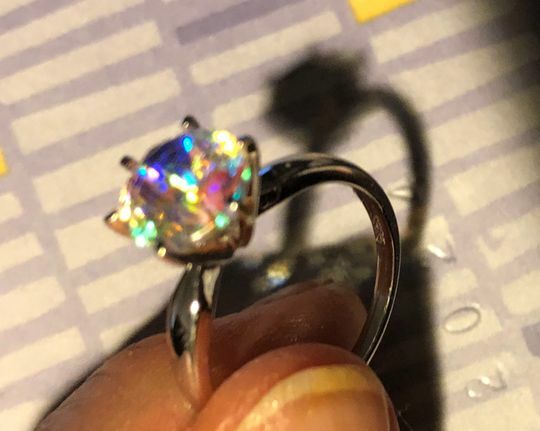 I can't stop staring; I've received so many compliments and the colors it reflects and the light it refracts is extraordinary. Pictures simply don't do it justice. Whether as a gift, special tribute, or just a gift to yourself; you won't be disappointed. See for yourself and fall in love! The pics you see on the website and IG don’t give the jewelry justice! I got the 8mm ring and it’s sooooo beautiful. I’ve gotten so many compliments already! 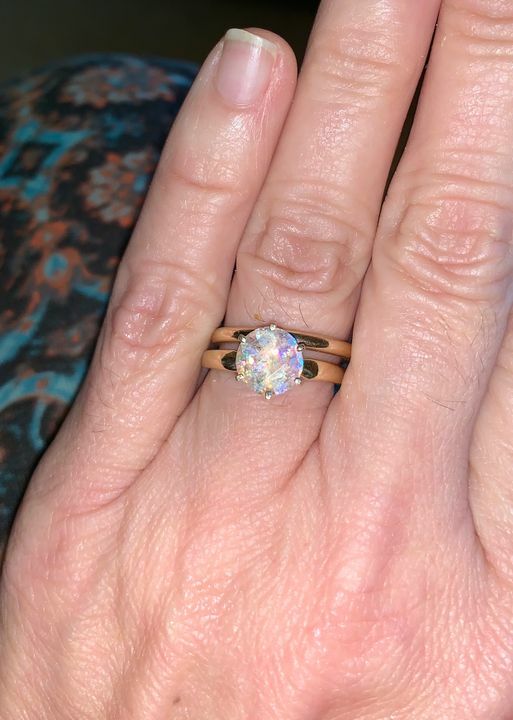 I love love love my ring. Thank you Viv! 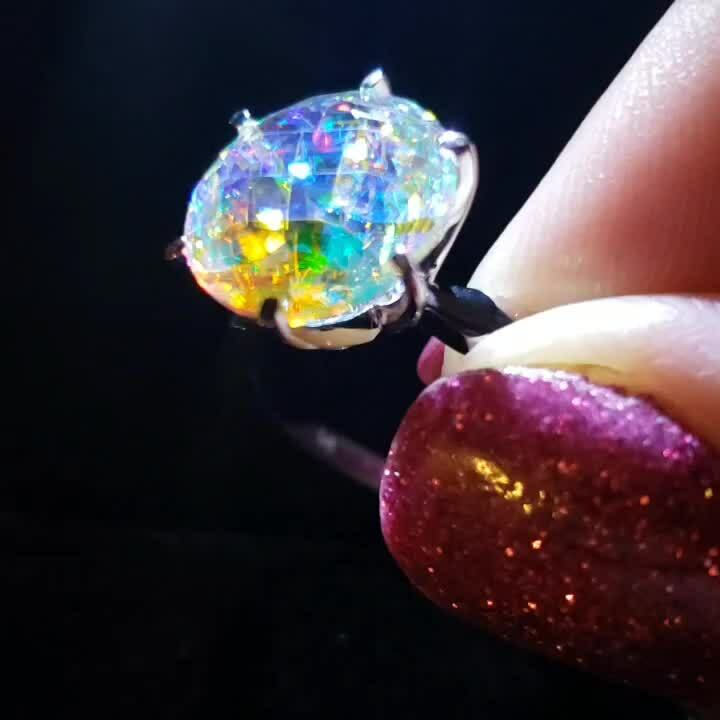 © 2019, Viv Storms Fine Jewelry. All rights reserved.